My first tailgate of the season (though it was not THE first tailgate of the season) was ten times of fun. We have a tent set up for us this year in Vandyville and it’s a party. It is a learning process for us new Vandyville comers….you have to pay more for a table, you can drive up to the tent to drop off your stuff, and you can park closer than we thought. But we’ll be experts next year. The game last week was against LSU and even half of Vandyville was a puke yellow and purple. A small storm game through, complete with thunderstorms and lightning warnings. 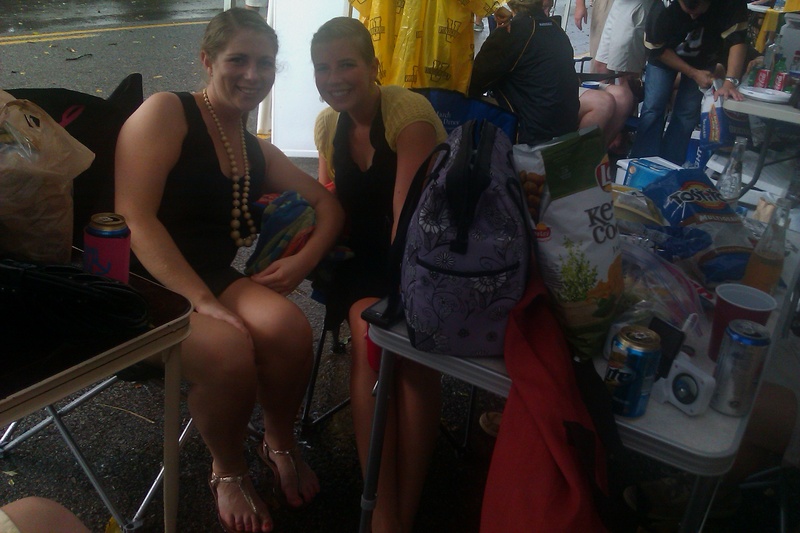 We hunkered down, piling everything and everyone to the middle of the tent and lowered the tent as low as we could. It passed quickly and the fun continued. I, as per usual lately, was an awful photographer and didn’t get many pictures. Next time. And by the way, #52 on my 101 list is to take a different item to every tailgate. Unfortunately, since I worked all Saturday morning, I didn’t have time to be Suzie-homemaker-tailgate-extraordinaire. Fortunately, I had bought some yummy dip mixes in a cute little shop while visiting Lisa in St. Charles last month. 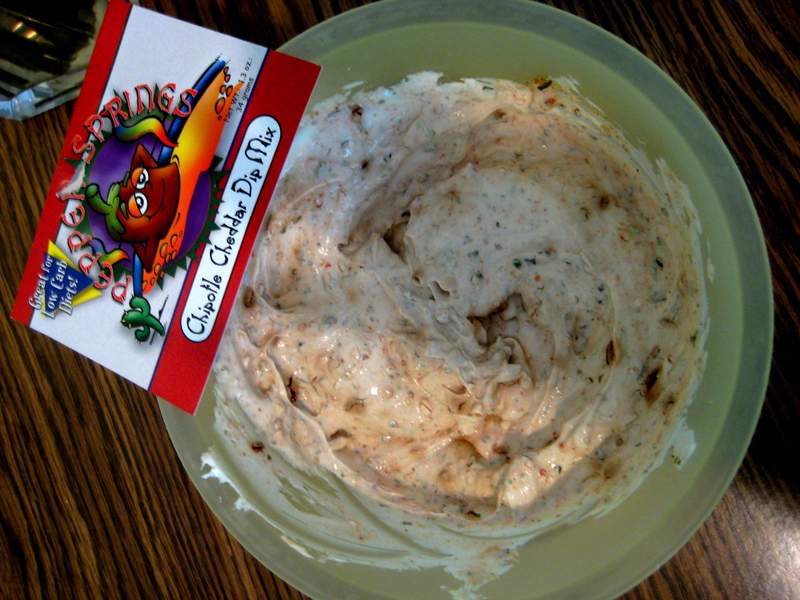 I made a Chipotle Cheddar Dip Mix (made by Pepper Springs) and it was delicious and had a great spicy kick to it. Paired with my favorite Tostidos Multigrain Tortilla chips, it made a perfect tailgate dip. More homemade next time (but maybe semi-homemade…it is a tailgate after all…)!! This is by far my favorite time of year. Just mix with sour cream for deliciousness!! We’re just not going to mention what went on after the fun tailgate in the stadium. There’s no need to revisit misery. Categories: Wonderful Wednesday | Tags: 101 list, food, football, tailgate, Vanderbilt | Permalink.